The Kubota 6pc Plastic Hook Set is the perfect storage solution. Features quality plastic and durable self-adhesive backing. Easy to apply, just peel and stick. Ideal for organizing and decorating. 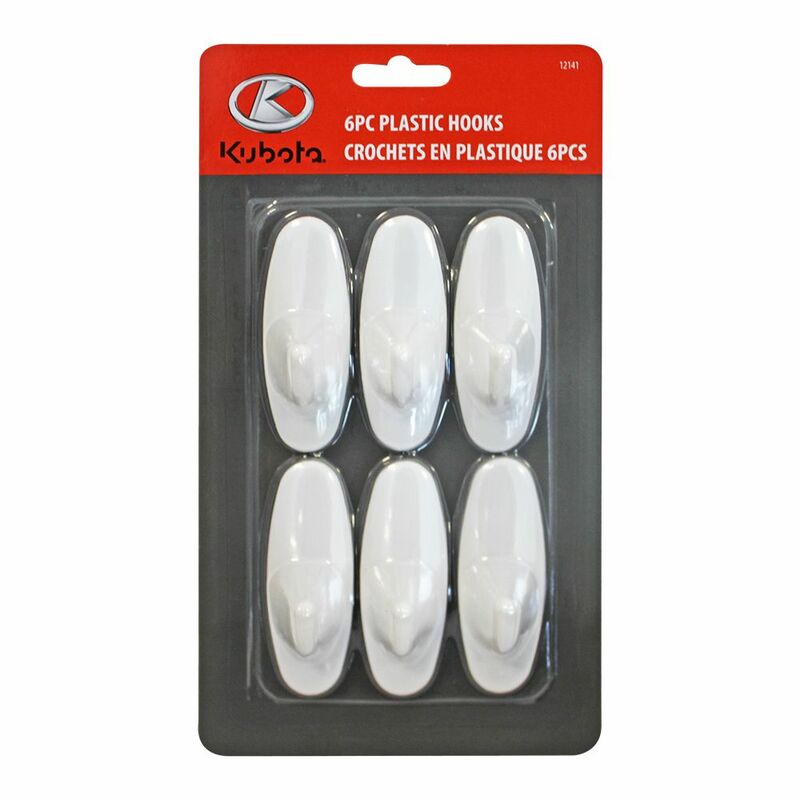 6 pc Plastic Hooks The Kubota 6pc Plastic Hook Set is the perfect storage solution. Features quality plastic and durable self-adhesive backing. Easy to apply, just peel and stick. Ideal for organizing and decorating.